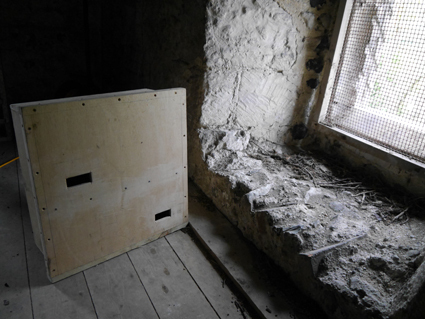 The project is a response to the decline in swift numbers in the U.K. thought to be a result in the decline in suitable nesting places. This is a result of improvements to old buildings and new building design. 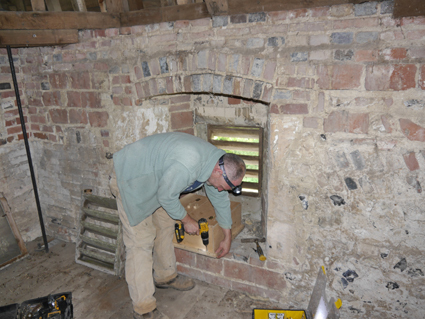 Swifts nest in gaps in the roof of a building or crevices in a wall. The population was estimated at 80,000 in 1990 and is thought to have declined by 50% since then. 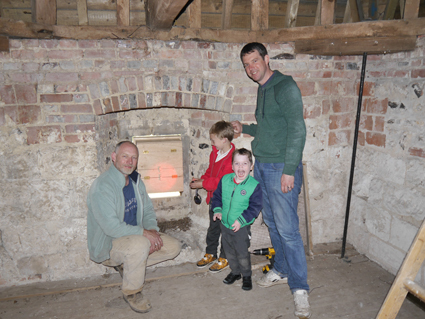 4 swift nest boxes have been made by children from Alfriston Primary School using marine plywood. 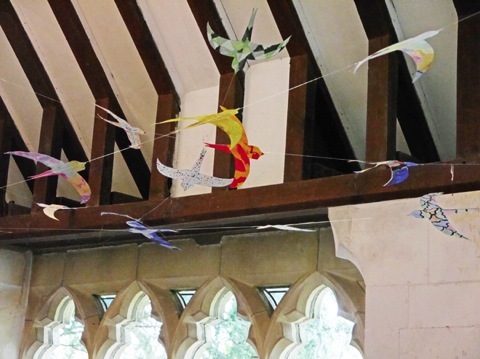 They were installed behind the louvres in the upper part of the flint tower of the church on 2nd May, around the time that Swifts arrive back in the U.K. from their winter migration to sub-Saharan Africa. 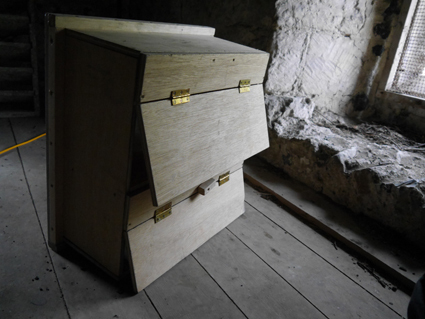 A recording of the swift call, a screeching sound, is played in the early in the morning to try and attract swifts to these new boxes. It may be a couple of years before the birds establish their territory and use the nest boxes. 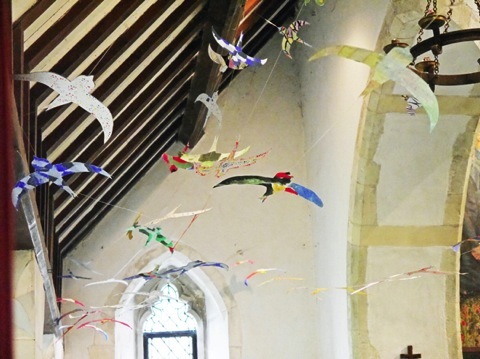 About 115 coloured swifts were made by children from Alfriston Primary School to celebrate the project. 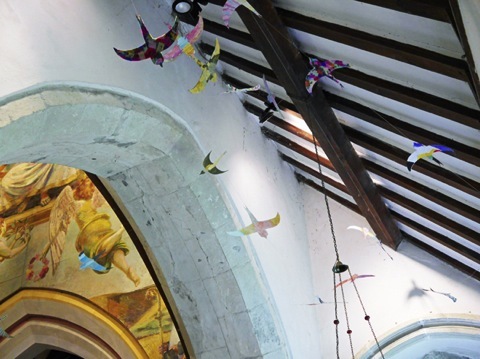 Some are decorated with colours to represent the countries which the swifts fly over in their migration – France, Spain, Morroco, Mali, Nigeria, DR Congo…….- some are decorated with spots to represent bead-making in Africa, and others with stained-glass pattern. My thanks to Chris Mason for his support and advice, to Chris Powles for donating the bird song player, to Robert Coleman for helping with the workshops and making of the nest boxes.